The Green Fayre is a celebration of the countryside and countryside life, and is the biggest event of its kind in West Lancashire. There are a huge range of displays and attractions at the show providing interest and entertainment for all members of the family. The heart of the Green Fayre belongs with its craft and working woodlands displays. There are a variety of different exhibitors and traders showcasing a wide range of traditional crafts and techniques, working natural materials into products and goods that we use in day-to-day life. There are a wide range of animal displays at the show - falconry, horse and dog shows in the arena, static owl and birds of prey displays, and even a petting farm allowing you close up experiences of a range of animals. The show is also attended by a range of wildlife and animal welfare charities and organisations providing you with more information on how you can help look after animals both at home and in the wild. A big part of the show is the Viking encampment that overlooks Skelmersdale. 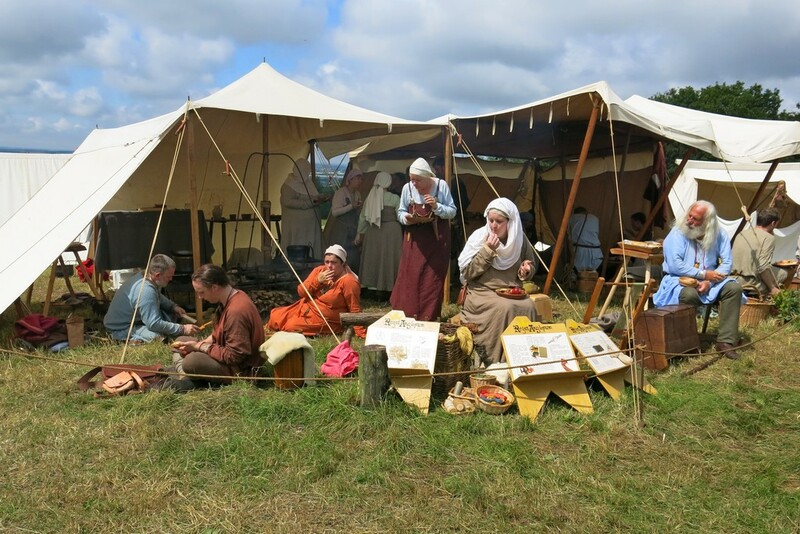 Visit their tented village and find out more about how day-to-day Viking life used to be, then watch as they battle in the show's arena. There is loads for families to do at the show. As well as all the crafts and exhibits there are a full range of adventurous activities for you to try your hand at; climbing, abseiling, caving, shooting, archery, bushcrafts - you name it! But if this isn't your cup of tea, don't worry there are also bouncy castles, trampolines, donkey rides and traditional funfair rides for you to have a go at! There is also lots of food and drink to choose from with something to tickle everyone's taste buds. Gourmet burgers, Lancashire game, hog roast, specialist vegetarian/vegan cuisine and fajitas are all on the menu along with a variety of stalls selling pies, cakes, preserves and sweet treats.